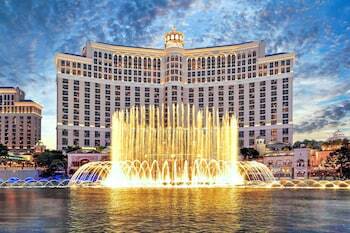 You may still be able to book by calling the hotel at 702-590-7111. 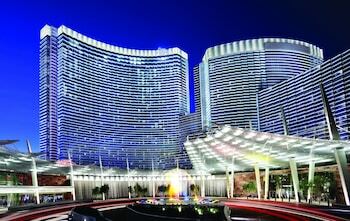 When you walk into the ARIA Resort & Casino, you may have to pick your jaw off the ground, because the contemporary architecture and the sparkle of natural light just may take your breath away. Can you pull yourself together to make it to your room? Good, because you'll be transported to a high-tech experience that makes you feel like you're the only guest in the hotel: a touchscreen control panel adjusts the settings of the lights, curtains and temperature to your liking and remembers your preferences. It's not all about technology though, as stunning views through the massive floor-to-ceiling windows, 300-count triple-sheeted beds and swanky robes round out the "it's all about you" concept. 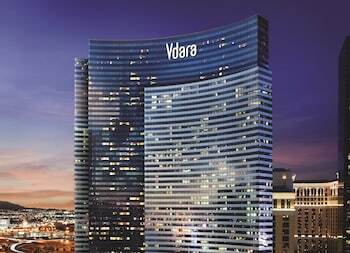 Elsewhere in the ARIA Las Vegas, you'll find myriad dining options from world-class chefs, nightclubs where the celebrities hang out and a powerful Cirque du Soleil performance. Have you caught your breath yet? 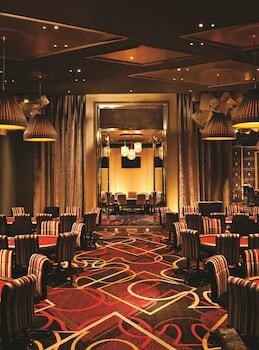 ARIA Resort & Casino is a 5-star hotel located at 3730 Las Vegas Blvd. South, Las Vegas, NV 89109, US . Its nightly price usually falls between $97.28 per night and $10112.49 per night, excluding tax, depending on room category. $97 per night found for a Promotional Rate 20pct Off - Deluxe King Room / 1 King Bed - 520 Sq Ft / Corner View / Wifi room type. 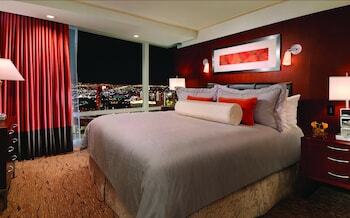 ARIA Resort & Casino sells rooms through sites like Room 77, Expedia, Hotels.com, GetARoom, and many others. Room 77 searches across dozens of different sites to find the lowest discount rates available. The lowest rate we've seen over the last few weeks was found on Room 77. In 1% of the cases we surveyed, all sites offered the same rate. You can compare real-time rates from all of these sites on Room 77. Room 77 is the only hotel shopping site that includes special discounts like AAA, senior, government, military, and corporate rates.